Darcy Lee Donate Me Money So I Can Buy A House VirTual ReaLity Artificial Intelligence 911: Invest, Information, Virtual Reality. It's my birthday today May 11th. I turn 33. So my Nana bought me some socks. She celebrated her 80th this year, not so long ago. My mum bought me some track pants and other clothes which I needed. I'm pretty poor so don't get much spare cash to buy things like clothes and other necessities. My Dad or brothers didn't buy me anything. It's 11.20pm at night so the whole day is nearly over. I woke up with a really sore neck this morning. When I say morning I mean about 5pm. I lay in bed for a while with my sore neck trying to sleep further as I usually do but my neck kept annoying me. It was pretty sore. I found I could get in some positions and it would be ok. As i lay there my left ear rang loudly as it always does from the government technology they subject me to. So i'll make this post a further asking for money and maybe a Virtual Reality post so here goes. As you can see I am just entering my 5th year of blogging here on this website. So I am well established and apart from death i'm not going away. I hope to live to about the age of 60 at minimum. As I have smoked alot of cannabis and tobacco in my life but not other drugs - this is why I lower my estimate of my life span lower than the average of 78.6 or whatever it is not to mention the psychiatric drugs they have me on. The thing is I need to establish myself finacially. I need a house where I can retire to for the rest of my life and live safely out of harms way until the natural causes of death take effect. I probably have 30 years left and for those 30 years I will be blogging. As yet after 5 years, my blog only gets about 5-10 hits a day which is not good enough really. I need to expand. I've tried expanding before. It hasn't worked. What I am trying to convey is that apart from death, i'm hoping to be here for the next 30 years and for those 30 years be blogging. Blogging is apart of me now. Sometimes i've had big gaps between posting but i've always come back to it. So if you could invest in me I will definitely be someone who's in it for the long haul. What can I offer in return. Well one thing I can offer is information. I have information that technology currently exists that has the ability to port an image directly into your brain. This is the future of Virtual Reality. I have no proof only experience. This type of information is future predictive and prepares you for whole new worlds that will be made available. This information hopefully won't scare you and you will embrace it as truth. 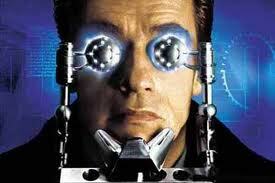 If you call me a liar of mock me about this technology I will be hurt sure but you will lose as this tech is real. I am one of the first in the world to know about it. And basically I know nothing. But please all you have to do is have a little faith and you will know I am telling the truth when I say that the Government has technology to send full motion video directly into your head. So information. Valuable information. Information about Virtual Reality. It's what i'm selling here. This is prophetic. Visions of the future of the world when the technology goes from being secret classified to open and available on the free market. You are being let into a secret here that very few people in the world know about. Virtual Reality technology is real. You can now see computer images/video/graphics inside your mind. Information Technology is about to rapidly change forever. The way you view an image on screen will be revolutionised. This is Virtual Reality. The Virtual World will mesh with the real world. You will be walking/driving/moving around with a H.U.D. (Heads Up Display) in your head, feeding you and nourishing you. When you get home you can totally emerse yourself in the latest game or virtual world or shop in virtual stores or explore the universe virtually. All in your head. So what would this information be worth. To tell you that this world is real. That Virtual Reality is Real. Would it be worth a small donation to this website to keep me happy and ticking over and telling the truth to all who would deny the truth of the existence of this technology? This technology will come out. But this is one of the few websites that will tell you of it's existence. This is valuable information. So if you feel upto it please pay for the priveledge of being told. You could with your new knowledge prepare yourself to make further money. 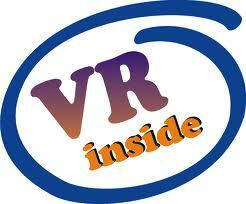 You could invest in domain names that are Virtual Reality related. This is just one way I can think of making money. Invest. Invest in the concept of Virtual Reality of pictures and worlds in your head. Invest in this website.